The former Black Stars gaffer has rubbished claims by the Milan midfielder, advising him to concentrate on his career. 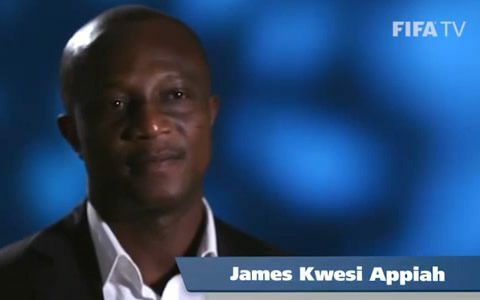 Former Ghana coach James Kwesi Appiah insists he never had anything against AC Milan midfielder Kevin-Prince Boateng. The 28-year-old midfielder revealed earlier this week that he was axed from Ghana’s camp during the 2014 Fifa World Cup in Brazil because Appiah hated him. Appiah, now manager of Sudanese side Al Khartoum, says Boateng must ask himself why he was the only person having issues with everyone at the camp during the tournament, advising the player to focus on his career. “I do not harbour hatred against any human being. I will rather wish Boateng does a search to find out why out of 23 players he was the only one who had problems with both the technical team and management,” Appiah told Kasapa FM. “Now, we’ve all moved on so it will be better for him to keep quiet and channel his energy into prayers in order to get a lot of playing time at his club and allow us to live in peace,” he added. Boateng and Muntari are still facing an indefinite suspension from Ghana national team. None of the duo has tendered an apology to the FA which is one of the conditions for their reintegration. Boateng also participated in the 2010 World Cup in South Africa. He has been capped 15 times, scoring two goals for Ghana.